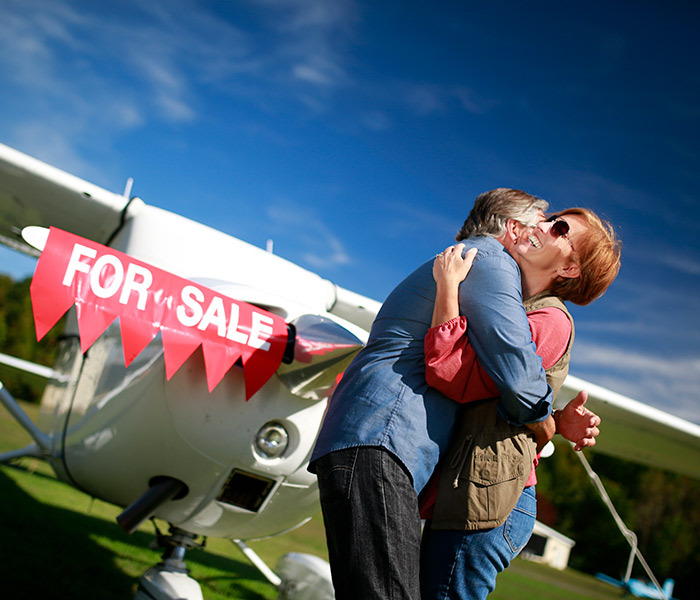 Aircraft Financing for the First-Time Buyer. Purchasing an aircraft can be a daunting process, but AOPA Aviation Finance will provide you with the best financing options for your specific needs and help you through the process to make it as easy as possible. Our expertise in aviation and commitment to our members are why we see more aviation finance requests than any other lender or broker. Buying an aircraft is more like buying a house than a car. Your budget needs to work within your financial situation. Find out why. Learn how your account executive will be your best resource, and will be with you every step of the way to purchasing your first aircraft. Ensure you're getting the right aircraft at the right price and that fits your budget. Learn what you need to know about aircraft valuations, the pre-purchase inspection and the purchase and sales agreement. You are just a few steps away from owning your first aircraft. Make sure you don't miss anything. Read more to get your checklist. At a minimum, you’ll need a 15-20% down payment, plus 18 months of payments in liquid assets and a credit score of no less than 700 to be considered. Just like buying a house, set your budget according to what works with your financial situation before you get your heart set on a particular aircraft. Lenders look at four main factors when determining your creditworthiness. Set your budget according to what works with your financial situation before you get your heart set on a particular aircraft. If you are still looking for the right aircraft, buying what you need is important to keep in mind. Here's an article that might be helpful. Gather your tax returns, business financials and personal net worth information; we’ll need it for your loan application. Are you an employee or a business owner? The simpler your income documentation, the easier it will be to get a decision. Need help coordinating with your CPA? We can help with that too. It's important to understand the timeline of an aircraft loan. Typically it takes 1-2 business days to be approved by a lender once we have submitted your completed application. From there, it will take another 5-7 business days to close the loan. If you have a complicated financial package, or more than one partner purchasing the airplane with you, it may take a little longer. Please plan accordingly so you don't get yourself into a stressful situation with the seller. Also, wait to make any travel plans to pick up the airplane until your lender has confirmed the closing date. Once you are ready to begin the approval process, your Account Executive (AE) will send you a link to our online application. After completing your application, you will receive access to our secure Document Upload Tool, where you can submit all of your supporting documents. Along the way both your AE and our loan processors will be available to assist you if you should have questions. When your package is submitted, your AE and an AOPA financial analyst will review it. They'll select the lender they think will work best for your needs. But, if they feel the financial requirements haven't been met, or that the aircraft doesn't meet lender requirements, they'll discuss with you the areas of likely concern and you can then choose to withdraw the loan before it gets submitted and potentially declined. By working with us, you get the expertise of our staff to match you with the right lender with the best terms and highest likelihood of approval. Getting pre-approved for an aircraft loan is one way to find out if you can afford the aircraft you want. Getting pre-approved tells you how much you have to work with, can get you a faster closing time on your loan approval, locks the rate in for 30 days and is good for 90 days. All you need is an idea of the year, make and model you're interested in, we'll do the rest. We have a loan status portal that allows you to login to review your loan status, as well as upload any additional documents you may need to submit for your loan package. The portal will also email you with real time updates about your loan. You won't have to guess what stage your loan is in; from "Application Incomplete" to "AOPA Analysis" to "Lender Approved" you will be informed of your loan's status at all times. Before you can set a closing date, you will need to check a few more items off your list in order to make sure the sale and financing go smoothly. It will be important to understand the valuation of the aircraft, schedule a pre-buy inspection and negotiate the purchase and sales agreement with the seller before closing can take place. Lenders will also require that you have insurance in place. There are important steps to take now, to ensure that you pay a fair price for the aircraft. Understand what factors contribute to the value of an aircraft, establish an agreement with the seller so that everyone, and the aircraft, are protected. After you have completed the pre-buy inspection you will have a much better sense of exactly what the aircraft is worth. Once you’ve been approved, it’s time to schedule a pre-buy inspection. Make sure you know exactly what you’re getting and have a professional thoroughly review the aircraft. These binding legal documents typically set the sales price and conditions including things like the amount of time the buyer has to complete a pre-buy inspection, who pays for what, terms of a deposit and who pays to move the airplane. Most lenders will require an executed purchase and sales agreement in order to fully understand the transaction. You must secure insurance and name the lender as the "loss payee". While limit requirements for liability coverage are not specified, both hull and liability coverage are required. 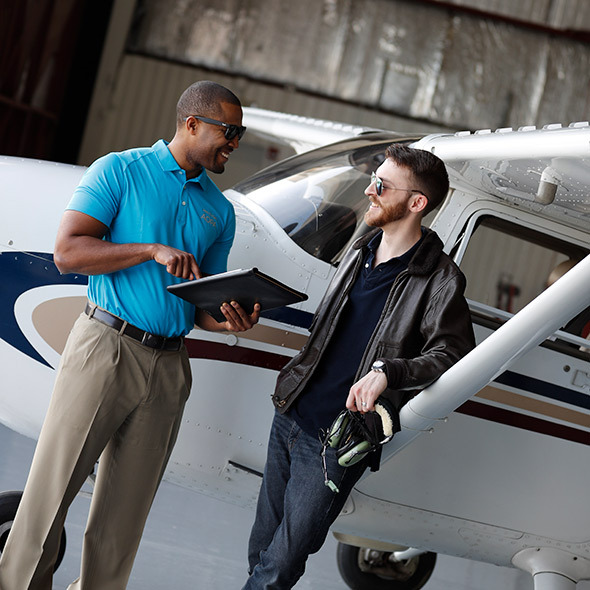 AOPA members can get great rates through AOPA Insurance; ask your AE to connect you with an agent to get a quote early in the process. Contact us at: 1.800.622.2672 or get a quote. By now, all of your documentation should be in order, with the steps of lender approval, pre-buy inspection, escrow, contracts addressed. See below for a checklist of what you should have ready, to take the final steps to owning your first aircraft. There are hard costs involved in closing the purchase and loan documentation, including background checks, credit bureau checks, overnight fees, loan documentation, and legal review. There are also a variety of fees, including escrow and lender fees and closing costs which vary based on the aircraft purchase price. 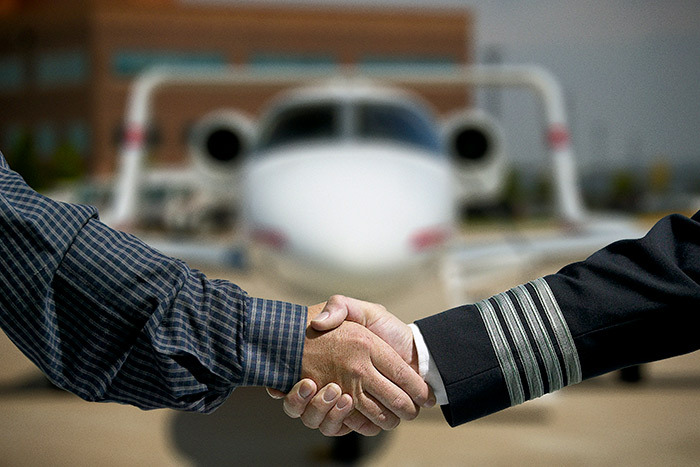 As long as you work with AOPA Aviation Finance, though, you won’t pay any broker fees! Select a closing date and begin sending documents required to close. Locate a notary for documents that will typically be required by the lender. Allow time for overnight packages for the documents that need a “wet signature”. ALL loan documents need to be received by lender and reviewed before closing can occur. Clouds on title (past issues not previously addressed by seller). Lien release from seller (some lenders can cause difficulties and slow the process). Airworthiness Directives (ADs) needing to be addressed take longer than anticipated. Complete logs are typically required (some exceptions for aged aircraft). Be sure to start the insurance application process early on so it is in place before the planned closing date.